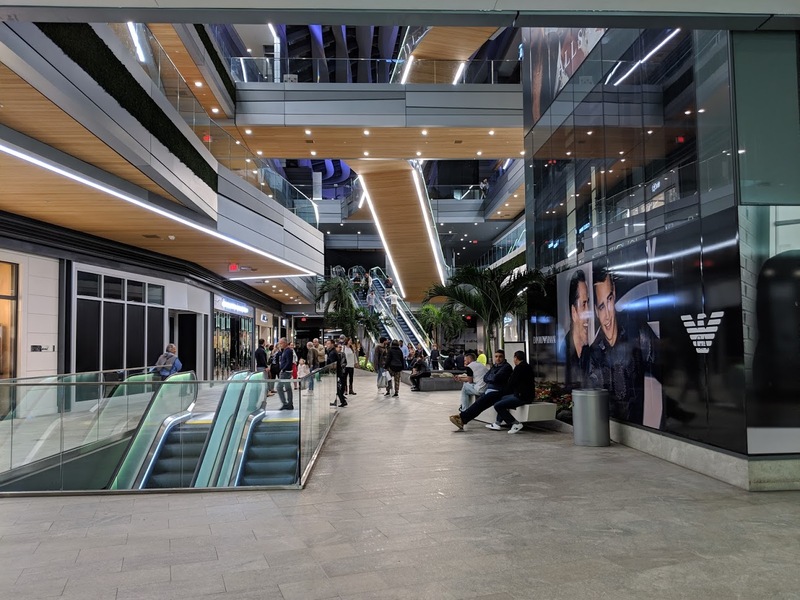 Brickell City Centre’s mall saw fast growth last year, according to an earnings report released by developer Swire Properties earlier this month. For the year ended December 2018, retail sales at Brickell City Centre rose 153.4% compared to the prior year, the developer said. Many major tenants were not open in 2017 however, and Swire does not release exact sales figures. Occupancy as of December 31, 2018 was 89%, including space reserved for tenants by Letters Of Intent. By comparison, occupancy on December 31, 2017 was 88%. Another new tenant could be Sunny Poke, which is penciled in to open on the fourth level near the CMX theater, according to a leasing plan released separately. Swire told shareholders that condo sales are continuing. At the Rise condo building, 248 of 290 units are now sold at prices in the upper $600s per square foot as of January 25, an increase of 22 compared to the 226 that were sold on July 27, 2018 (the number was 237 on November 2). No new units were sold in the Reach tower, where 363 of 390 units are sold. I rode my bike to BCC yesterday and could not find any bike parking. How is it that the city allowed this HUGE development and there is no bike parking? What kind of city do we want to be? World Class! Lousy, mass transit, lousy pedestrian/bicycle circulation, lousy streetscapes. But lots of parking lots and bespoke cocktail places. World class! But you gotta love the koi pond! i’d be laughing if i wasn’t crying. don’t’ forget, most people think no one rides a bike, or that it’s too hot, or too coldd, or too dry or too humid to ride. they’d just rather sit for hours int their car, hating life. Nahhh, it’s none of those things.. after witnessing how people drive in Miami, most people would rather not take the chance riding a bike. I ride a bike. A nice one. I dont whine like a little daisy because someone else does outline where I can “park my bike”. The Brickell Citicenter developers know what they are doing. They know their market. If you are a daisy too dumb to “park a bike” you probably wont spend much at BCC. Wow. I’ll bet this guys bike has an “I AM MDC” sticker. LOL . Thats a good one. I think the majority of people in Miami are latinos. Latinos have large families, ie: SUVs….. so the car is very important. A bike is a way for a single or couple to travel and typically under the age of 60. So, its a narrow group of us. You ride a bike in Miami?! You’re one brave soul. Actually it’s quite safe in Brickell, Grove, The Beach and Downtown where cars are forced to drive slow for many other reasons. It’s out in the suburbs like Kendall and Doral where it’s suicidal to ride a bike. Don’t be so cheap, valet the bike! When men today were kids, they locked their bike to fence, didn’t wear helmets, and didnxt whine on public forums. I ride my PureFix around Brickell and I could be wrong but I think the bike area is at the Underline area (east of BCC under the metro rail). There is bike parking on SE 7th Street under the Metromover. Slow your roll…. Ok then, build the supertall already Swire!! Heck, tell us where you don’t find that in Miami. Hmm. I thought we were discussing BCC not Buena Vista (aka DD). Guess that’s why the suburban malls are all empty. Does anyone know why no units in reach traded last year? What’s the holdup with those remaining units? Swire has been in business for 100’s of years. They are the seller, they dont have bank loan, they dont NEED to sell. Considering the state of retail rather than lack of bike parking, excellent news. A person who rides a bike to go shopping at a mall.. how novel. Condo sales have really collapsed. no sales in over a year, pathetic. The article is wrong obviously. The company has sold at least 8 units since Jan 1. But as stated above, they don’t carry loans like the rest of the developers so no rush to sell for lower prices. Wish the same could be said for Design District…wondering about its future, and when, or if, all the still empty spaces will be filled. Originally condos and hotels were proposed throughout the design district but it looks like they aren’t coming. I’ve been doing real estate for years and I can tell you this every time I have taken anyone to rent or buy over the age of 30 to the Design District they did not place an offer. Main complaints, too much graffiti, not a good area to raise kids, and “why is the homeless guy leaning on your car drinking out of a paper bag?” This area has a lot of growing up to do and I am sure some day it will get there but my guess is that won’t happen until the 2030’s. But developers and brokers sell the new developments as if we were already in 2030. At future prices too. Ridiculous. No to mention the traffic. I have lived near design district for 30 years and I can tell you that the tradfic issue is out of control. Can’t imagine when all the thousands of new units are filled with new residents. Caothic future ahead. What are the restrictions in place to make sure your not selling to money launderers? Now they can afford to enclose the mall on glass, put air conditioning and get ready for the next hot summer?